There are so many good things about owning a dog: companion-ship, protection and unconditional love. Dogs are also good for our health, with research indicating that people who own dogs have lower blood pressure and lower levels of stress hormones in their blood. But owning a dog is also a tremendous responsibility. If you’re considering sharing your life with a dog, it’s important that you stop and think before you leap into this commitment. A dog should never be an impulse buy, even though it’s hard to resist those soft brown eyes and wet nose, you are adding a living being to your family, a family member that relies on you for their every need. The average lifespan for an American dog is 12 years, and you will need to meet your dog’s every physical, mental and emotional need for his entire life. Use the month before adoption to consider what you comfortably offer a dog that joins your life. Spending a bit of time to figure out what kind of lifestyle commitments you can make will help you decide whether a dog is right for you at this time of your life, and will help you make better decisions on what type of dogs make sense for your family. The first step in deciding whether or not you can care for a dog is to review your time commitments. Do you have a very young children, elderly parents, a needy boss, or some combination therein that take up your every living moment? If so, perhaps it would be better to wait until you have a little more time that you can devote to caring for a dog before you on the extra responsibility. You need a minimum of an hour a day to provide basic care for a dog. That’s an hour every day, not just on weekends! And remember that figure is a minimum, some dogs will require much more time. Exercise – there is truth in the old adage, a tired dog is a good dog. A dog with too much energy and not enough to do will find them to do. A medium energy dog will need at least a half hour brisk walk once a day. Higher energy dogs will need longer and more frequent exercise to stay happy. Training – one of the most common reasons for dogs being euthanized is a “behavior problem”. Most behavior problems can be prevented by appropriate socialization and training, under the guidance of a qualified trainer. This takes a heavy investment of time, particularly if you own a puppy. You cannot let your dog raise himself, be proactive and teach him how you’d like him to behave, and he’s much less likely to develop behavior problems that are difficult to resolve. 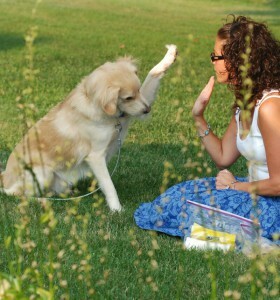 Training also helps establish leadership with your dog and gives your dog the mental exercise that they need to thrive. Plan on training a puppy for at least half an hour each day, once you have established the basics you can reduce the amount of time spent training or move on to more advanced exercises. Grooming – the beautiful coat on many long hair dogs requires extensive and regular grooming to avoid knotting and to keep clean. As well as frequent visits to the groomer, you will need to establish a daily routine of brushing you dog’s coat to keep it shiny and tangle free. In some breeds this can take a full hour every day. Socializing – dogs are social creatures and need interaction to thrive. For most dogs a few moments throughout the day where you share a pat and a few kind words, plus a few longer sessions spent just laying at your feet are crucial to create a deep bond with your dog. Be prepared to spend a lot more time with the dog in the first few weeks as you establish a relationship. If it looks like time is not going to be a problem, think about whether a dog complements your current lifestyle. Think about what you are willing to compromise and what changes would not work with your lifestyle. 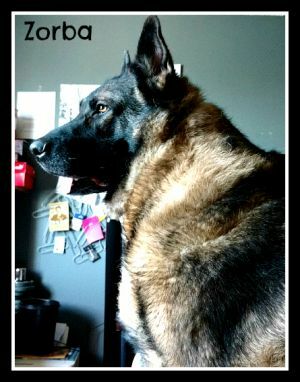 Home – is your home one that can accommodate a dog? You will need to understand your neighborhood’s rules regarding the type of dogs you are permitted to keep. If you rent, look through your rental agreement, many leases specifically forbid pets and having to keep your dog hidden away like is no fun and can be stressful. If the dog is going spend time outside, you are also going to want to make sure you have a yard that is securely fenced. Allergies – do you have any family members who suffer from allergies? A dog may make them itch, sneeze or worse! Consult with your physician to find out if you can comfortably have any breed of dog, and to get some recommendation on the types of dogs that are least likely to trigger your allergies. 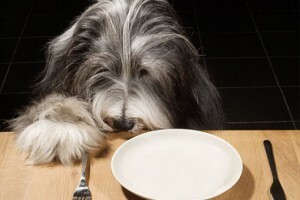 Routine – dogs need to be exercised, and fed every day. That means you need to think about whether your family’s routine is conducive to having a dog. Can someone get home every day in time to feed and exercise the dog? Activity – all dogs need exercise, some more so than others. Are you a marathon runner or a channel surfer? Think about what kind of activity level makes sense for your family. Many people get a dog hoping that will become more active. What this is a good aspiration, it is generally more advisable to become more active before getting the dog! Keep in mind that your lifestyle may change over the years. You may move to a different home, a different state, or a different country that might make it difficult for you to have a dog. You may have a family. Every dog deserves a forever home, so plan ahead for such changes, so you can be sure that you are able to keep your dog no matter what happens. Rescuing a dog from a shelter is a wonderful thing to do for you, your family and the dog. But, one big misconception is that adopting a shelter dog is cheap. Most shelters charge a modest fee for adoption. This fee covers only a small percentage of their costs for food, healthcare, facilities rehabilitation, and care giving. 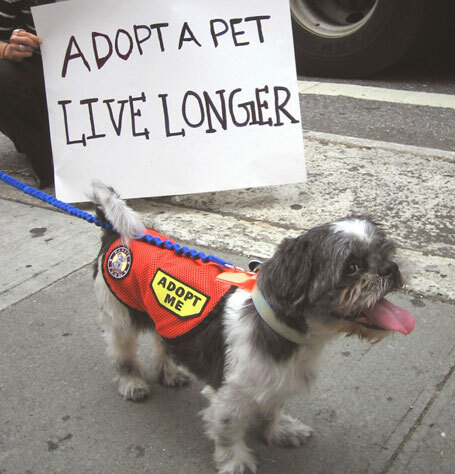 Adoption feeds also help shelters find new owners that are more responsible and prepared for the commitment of adoption a dog. The dogs that are in animal shelters have been examined to make sure they’re in good health before being made available for adoption. The dogs are usually vaccinated, wormed and neutered. In many cases. their temperament has been assessed so that staff can make sure they’re a good fit for a prospective new owner. I know of no breeder in the country that does that! All that is routine and for a fraction of the price you would expect to pay a reputable breeder. But, the cost of adoption is only a small fraction of the total cost of ownership. 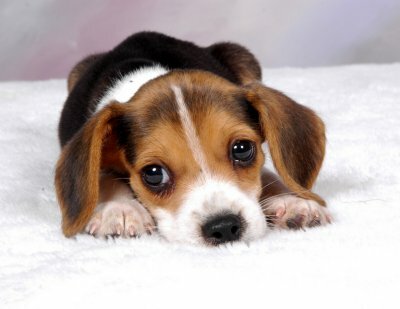 According to a 2008 survey by the APPA the average dog owner spent $2,185 per year on dog related expenses. Food and Treats ($323) – you will want to feed your dog a good quality dog food in a quantity appropriate for their size and activity level. 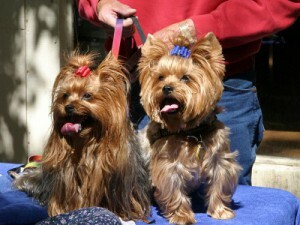 Costs are of course lower for smaller dogs and higher for larger dogs. In addition you will want to supplement their food with bones, rawhide, and the occasional treat. Travel and Boarding ($495) – when you vacation you are either going to want to take your dog with you or have someone take care of them for you. If you don’t have the luxury of having a trusted friend or family member nearby that will take care of your dog, a good boarding facility will be a godsend. But, costs add up quickly with daily rates running from $30-$60 per night. Medications ($137) – most dogs are on medication to protect them against internal and external parasites like worms and fleas. Most of these products are usually dosed according to your dog’s bodyweight and will be more expensive for bigger dogs. 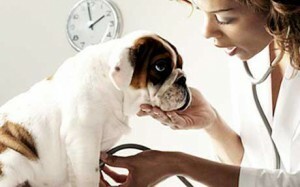 Routine Veterinary ($225) – a yearly checkup along with vaccinations are important preventative care measures to ensure your dog stays healthy and to catch small problems before they become big. Non-routine Veterinary ($532) – the biggest surprise in these statistics for most dog owners is the cost of non-routine procedures. When illness or accidents strike the costs can add up very quickly. 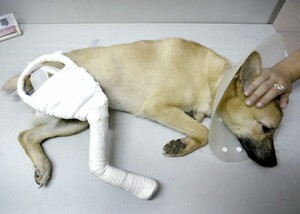 A few x-rays and treatment for a broken leg or your dog swallowing an object can quickly surpass $1,000. You won’t get these costs every year but when these costs strike they can be very sizeable. Non-routine veterinary costs tend to be higher for older dogs. A good health insurance policy will help you absorb some of these expenses, but all policies have caps and deductibles so you still need an emergency fund for health care. Grooming ($87) – costs associated with caring for you dog’s coat vary significantly by breed. Some short hair dogs need nothing more than an occasional brushing, while some long hair breeds need a standing appointment with the groomer. Non Consumables ($370) – you dog needs a few basics like a leash, collar, crate, bed, and two bowls. But, are you going to be one of those dog owners that needs to splurge on their dog. This is definitely one place where dog owners could save. And old comforter is just as good as a $200 memory foam mattress from the dog’s perspective. But, if your reality is going to be that buying your dog a new winter coat every season brings you happiness, then budget it in. Training ($35) – this is one place where we think most new dog owners would be a lot happier if they spent a little more time and money. Especially if your are a first time dog owner, having someone with a bit more experience help you work through the trouble spots will make life together a whole lot more fun. First, adopted dogs can come with behavioral problems. A good shelter will do their best to identify dogs with problems, but sometimes they will be apparent when you bring the dog home. For example, a somewhat common problem among abused dogs is a fear of men. Working with your dog to overcome these problems is rewarding, but very challenging. Second, some dogs will have physical problems. Again the shelter will identify most problems, but often they will latent and you will only discover them when you the dog home or even several years later when the condition becomes visible. So take these few weeks before you make the decision to adopt to think through whether a dog fits with your situation. If you have room in your life for a dog, do consider adopting a dog from your local shelter. You’ll have a loyal companion for life and you will feel good, knowing you may have saved his life. One place to avoid getting a dog is at a pet store. Some pet stores obtain their pups from puppy mills, where dogs are basically farmed, to obtain pups for sale. In many cases, the dogs are kept in poor conditions and don’t receive adequate veterinary care. Dogs are also often bred with less care to avoid genetic abnormalities that may manifest later in life such as hip dysplasia, a painful condition that occurs in larger dog breeds. I adopted a Poodle named Jay-Jay from Sophie…. I am so truly happy!!! Sophie is so good and she makes sure that her dogs go to the right kind of home…. She deserve a medal for all her work and time she spends saving dogs!